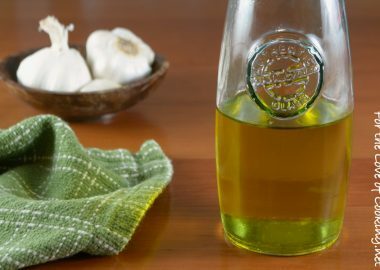 I love quick and simple recipes that taste fantastic and this is one of them. 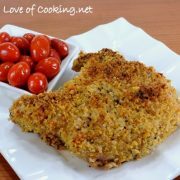 I combined some Parmesan cheese with Italian seasoned panko crumbs together to make a tasty crust that made these pork chops really delicious. The pork turned out moist and tender on the inside and crunchy and flavorful on the outside. We all, kids included, gobbled up these chops and enjoyed each and every bite. 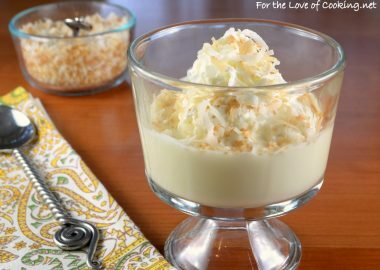 You can’t beat a 6 ingredient recipe that tastes this great!! Preheat the oven to 450 degrees. Line a baking sheet with tin foil then coat with cooking spray. Combine the Italian seasoned panko crumbs with the Parmesan cheese and mix well. 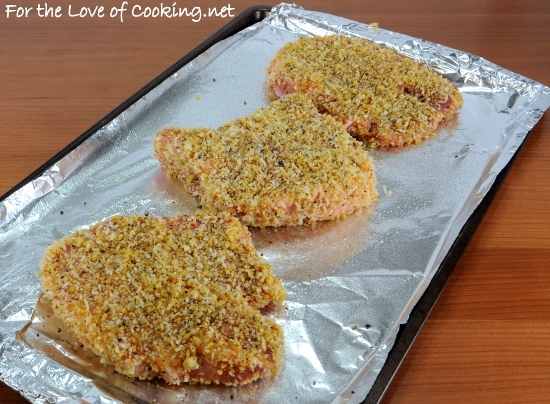 Dip the pork chops in the beaten egg before coating both sides of each chop evenly with the panko mixture. Place on the baking sheet then season with sea salt and freshly cracked pepper, to taste. Place the baking tray in the oven and bake for 20-25 minutes or until a meat thermometer reaches 145 degrees. Turn the oven to broil and cook for a minute or two (watching very carefully) so the top crust gets golden brown. Remove from the oven and let the meat rest for 5 minutes before serving. Enjoy. I love Panko and Parmesan together – simple, but so much flavor! Oooh! 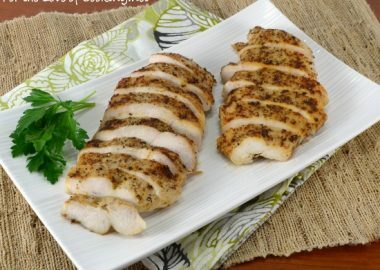 I love doing chicken this way, but I’d never thought to do pork chops! This sounds fantastic! How long do you cook the chicken? Is it with boneless chicken breasts? This recipe is for pork chops. It also states how long to cook the pork in the recipe instructions. I hope this helps. My comment was regarding Chelsea saying she does this recipe with chicken And asking how long to cook the chicken. I am well aware of the pork chop recipe and how long to cook that. Quite literally you read my mine! I was looking for parmesan pork recipes last night as my fiance requested it! Looks delish! These made my mouth water – I believe we’re having pork chops for supper tonight. YUM! 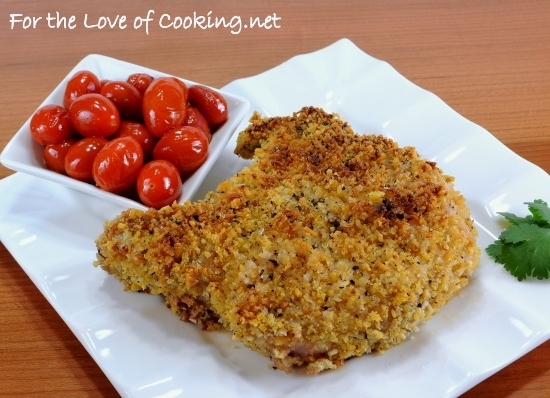 Crunchy, crispy, moist and tender pork chops…what’s not to love about this recipe? I love your photo with the roasted tomatoes, Pam! Those look like perfection! I’d love one right now.. I don’t care that it’s 5:30am!!! 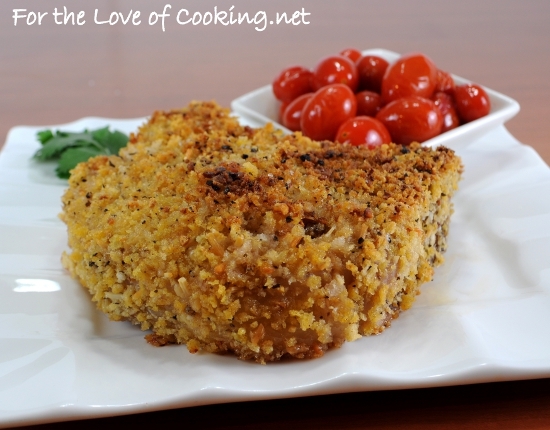 love the panko-parmesan coating, I’ve used it before on fish and chicken. This looks delicious, and so easy. Six ingredient recipes rock! Pork chops and me love a beautiful crispy coating like this! WOW this sounds really good. Delicious recipe for making pork so much more interesting, and crunchy! I love panko! Especially when combined with parmesan 🙂 This looks like a perfect meal! 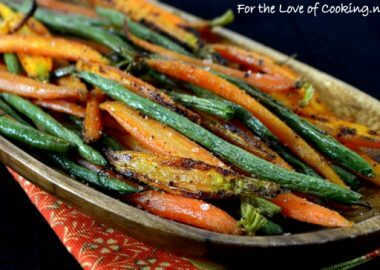 This recipe looks so easy and tasteful! These pork chops look really good and the recipe is a more healthier way than to frying thanks for sharing. Mmmm…I haven’t had pork chops in too long. 6 ingredients is the best kind of recipe, isn’t it? We had pork roast last night. Must have been a good day for pork. 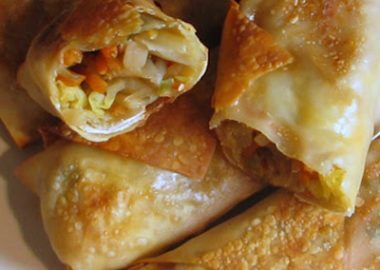 This is one of those recipes that everyone should have tucked away for a quick dinner! I love these pork chops. The crust on these pork chops sounds good, I am sure they were very moist with it. Definitely a dish that I want to eat. Crunchy outside tender inside. I love it. Have a nice day, Pam. 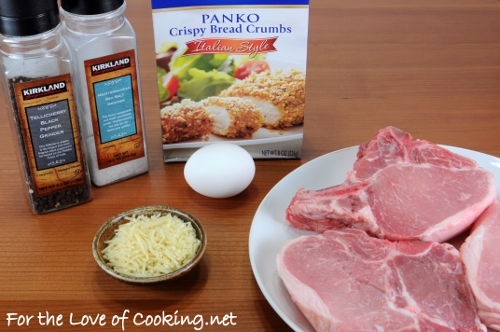 we love use panko Pam and these pork chops look delicious!! Wow you’re getting famous, I see Adele took time out from the Grammy’s to comment on this post (ha ha, okay, not THAT Adele). That crispy crunchy crust looks so enticing, Pam! These were great! I served them with a side of steamed green beans. My husband, four year old and I gobbled them up. Thanks for all your delicious recipes! I made these for dinner last night. They were really good and easy to make. My whole family enjoyed them. I served with mashed cauliflower and sweet potato rounds. Thanks for all your recipes. No flour? Isn’t that necessary to have panko adhere? Do you turn them over half way through? How thick are these pork chops? I’m trying to adjust the cooking time. No flour. You use egg to help the panko adhere to the chops. No, you don’t turn them over halfway; you broil at the end to help the top side of the chops get golden brown. These were medium size chops… not super thin nor super thick. I didn’t think you’d see this so soon. 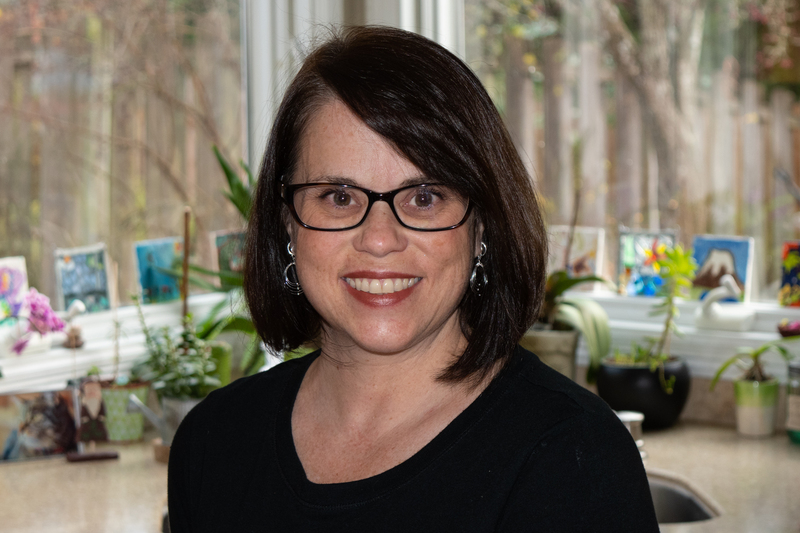 Thank you, Pam!!! My Mom always floured. I’m a “follow the recipe” kind of girl but was worried about the breading sticking. If you don’t turn them over, does the bottom brown? I have two chops….pretty thick…about an inch. I’ll probably have to cook longer. Mine browned nicely and broiling the top gave it a great color. We really enjoyed these chops – I hope you do too. Awesome!!! Chops were so moist,so much flavor, no leftovers. Thanks for a great recipe! This was dinner last night. I am always super critical of the things that I make, but this was fabulous. Everybody had seconds. Love that there is no flour dipping step, love the broil finish. I was worried the undersides would be soggy, but they were as brown and crisp as the tops. This will be a new regular! Thanks! This recipe was SOOOOOO GREAT! 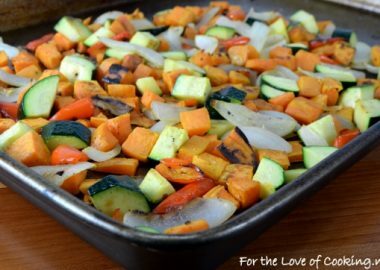 EASY, FAST, and SOOO GOOD!! This is my new Pork Chop recipe. LOVE them! with the panko & parmesan instead. It turned out wonderful! These are sooooo good….I’m making tgem again tonight…….Yum!!! Thanks for a great easy recipe. One question… i dont have panko. would regular bread crumbs work. I know they wont be as crunchy but…? I am sure regular bread crumbs will work fine, but you are right, they won’t be as crunchy. Tried these a few nights ago. REALLY good. Did exactly how you said to do. They were good, but kinda soggy on the bottom, not crispy. So I did ’em again tonight but cooked ’em on a cake rack. No difference. I guess the only way to get both sides crispy is to turn ’em over half way thru. Darn! No parm cheese in the house. I will do without, as I have all other ingredients. Even though my panko isn’t seasoned, I will do it myself. I hope they come out tasty without the cheese…I have little doubt. Thanks for the recipe!! 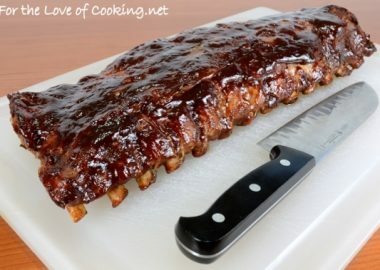 What I do is browm then on the stove first and finish them in the oven for about 12 mintues or so ….delicious..
Do you have to adjust the cooking time of you are using boneless pork chops rather than bone-in? Yes! Boneless pork chops take less time to cook. Going to try them tonight. Can’t wait. 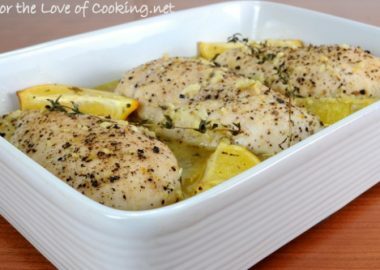 I’ve done this with chicken breasts and it was to die for but didn’t think of doing it with chops. It was my turn to do the dinner for tonight and I decided to search for a recipe for a crusted pork chop. This was one that came up, so I thought that I would give it a try. I just did and I gotta say, It was the “Bomb” alone with the scallop potatoes and broccoli, cauliflower & carrots as my two vegetables. My family “LOVED” it. This one is definitely a keeper. 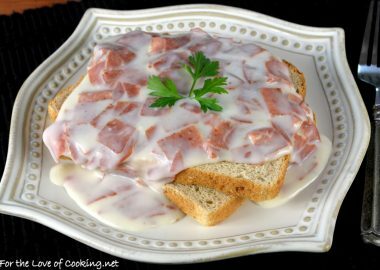 I’ve made this recipe a couple of years ago and everything came out fine. Now when I cook it, for some reason the Panko stays soggy over the meat. It cooks fine on the bone. What am I missing? I am not sure? 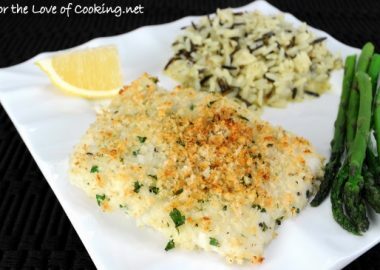 The baking first then broiling at the end should ensure the top panko becomes crispy. You can try carefully flipping the pork chops halfway through cooking time or use the convection bake setting on your oven if it has it.